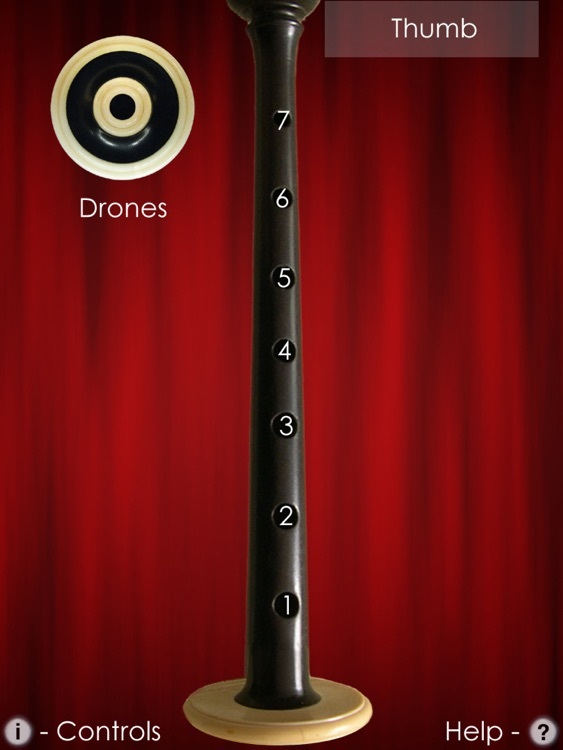 Bagpipes Pro is five extremely realistic sounding sets of bagpipes for the iPad that are played using standard Scottish piping fingerings. The instrument may be transposed up to +/- one octave in semitone increments as well as tuned up to +/- 50 cents. It includes five authentic sounding sets of Scottish, Irish, and Swedish bagpipes. 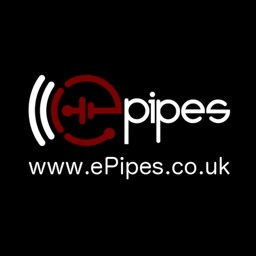 Great Highland Scottish Bagpipes - The most popular Scottish marching pipes, in the traditional key of Bb. Scottish Border Pipes - A Scottish smallpipe in the key of A with a sound distinctly different from but similar to the Highland pipes. Scottish Smallpipes - A Scottish smallpipe in the key of A, one octave lower than the Border Pipes, and has a rounder, bubbly sound. Swedish Säckpipa - A set of Swedish bagpipes in E, with a very haunting sound. 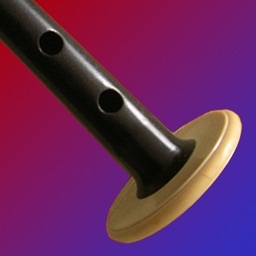 All of the instruments use fingerings based on the standard Scottish Highland bagpipes chanter. Start/stop the drones playing by touching the drone puck. 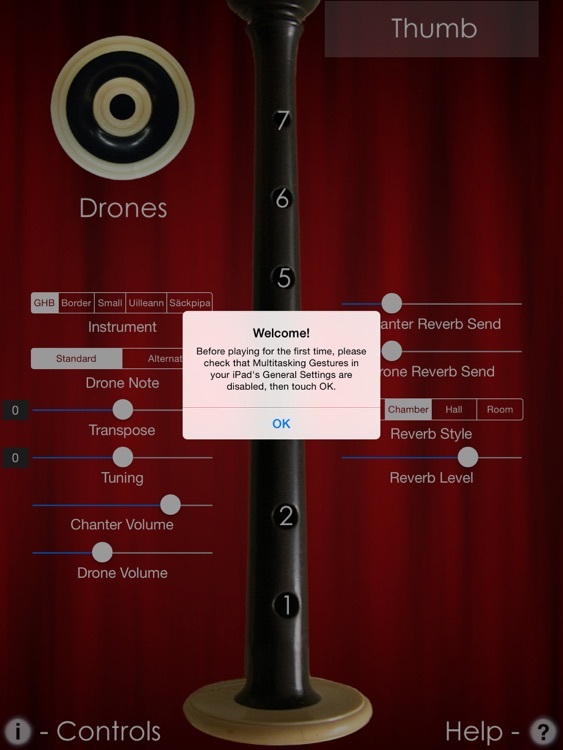 Select standard or alternate drone note from the controls. 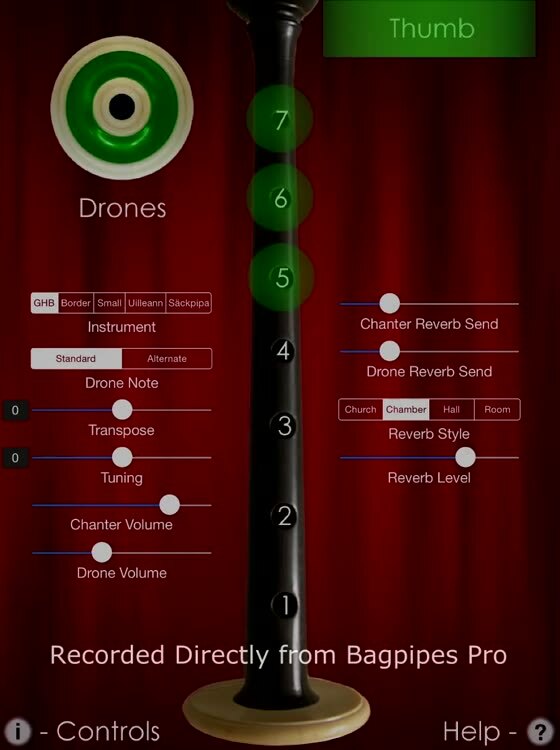 Use the Transpose slider to set the overall instrument transposition in semitones. Touch the transpose value to the left of the slider to reset the transposition to zero. Use the Tuning slider to set the overall instrument tuning offset in cents. Touch the tuning value to the left of the slider to reset the tuning offset to zero. To play the chanter, touch the bar at the top left with your left thumb. This bar is the hole normally on the back of a real chanter and must be covered for the lower notes to play. Touch the "i" to show/hide the live performance controls. Touch the "?" for on-screen help. 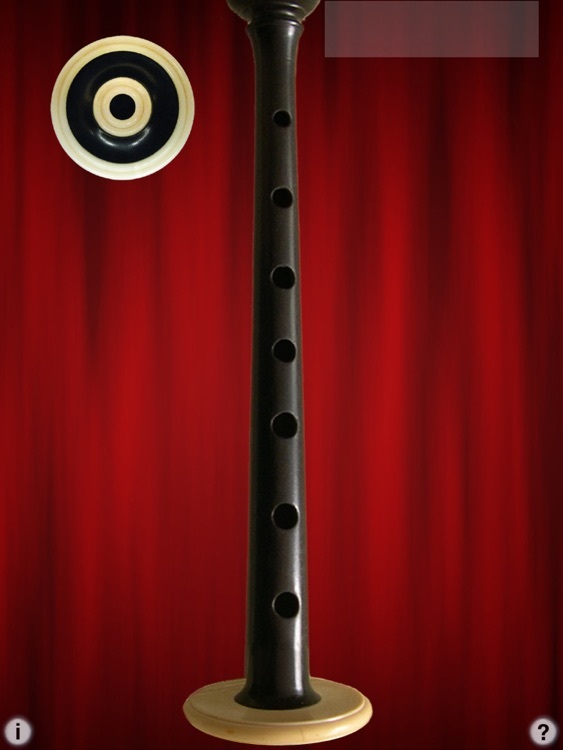 Audio samples for the Säckpipa provided by Jonathan Parker from an instrument made in 1986 by Leif Eriksson. 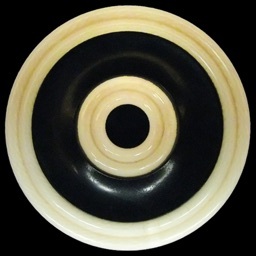 Drone puck image courtesy of Mike DeSmidt.